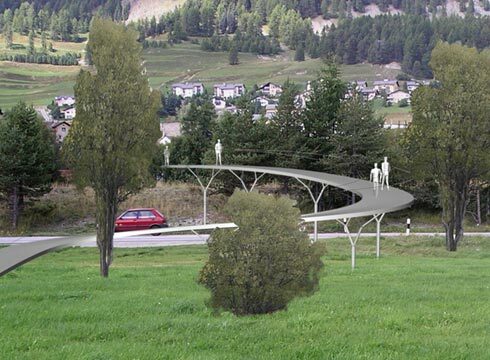 The suggested pedestrian overpass fits cautiously into the high alpine landscape. 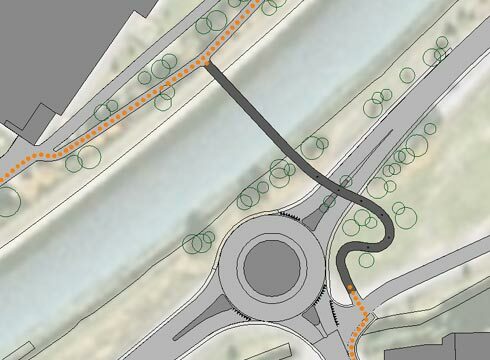 The bridge passes river Inn and the street northern of the new roundabout and connects precisely to the existing footways. On the left side of the Inn, ramps with a difference of 6% lead up to the dam crest. 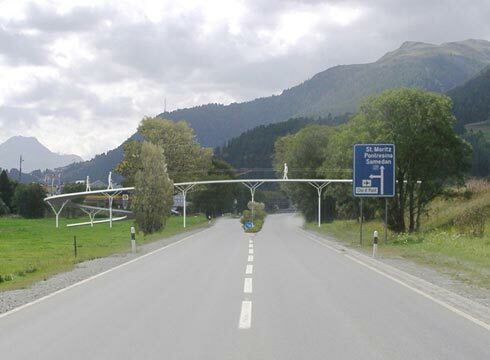 The bridge crosses the Inn rectangular, spanning 30m with a filigran steel arch. Beyond the dam on the right side of the river the maximum elevation of the track is above the street, then turning S-shaped down, forming a scenic way among new arranged trees. 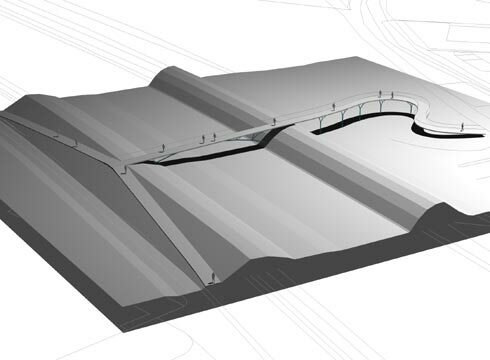 Composed of a thin reinforced conrete, the bridge deck with a width of 2,80m is pillowed by branched steel bearers. These tree-shaped bearers are fixed in foundations at intervals of 7,50m. The bridge deck spans 3,50m only. The Y-shaped steel branches are composed of flat bar steel in a sculptural, sharp-edged way. The handrail with thin vertical sticks is fixed to the deck and appears very lucent.